Al: [singing, trying to remember the lyrics] All around the something... the monkey chased the weasel... the monkey did something... and something happened to the weasel. The greatest TV show ever. Could teach a thing or two to many feature films. As a moviegoer, I don't have a great esteem for television. Sure, it has spawned many good shows, and cult characters. But I rarely felt the need to watch EVERY SINGLE EPISODE, afraid of missing even one. And believe me, I'm no short-sighted elitist. But Quantum Leap is an absolute classic. It's got Heart, great characters, ambitious stories, and it's both accessible and clever. It may not be the strongest Sci-fi concept, but it's the most likely to reconcile the fans of Star Trek AND Magnum P.I. Who could've imagined that? 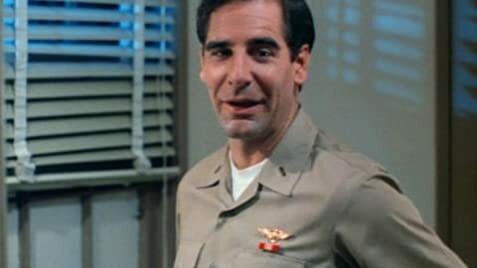 Donald Bellisario created a true gem of a show, centered around Dr. Sam Beckett (Scott Bakula) a scientist whose time-travelling theories are backed up by the military, represented by the retired Navy Admiral Al Calavicci (Dean Stockwell). The experiment goes wrong, and Sam is sent in the past, with most of his scientific knowledge and memories temporarily erased. His body vanished, his mind now trapped in other's bodies, and Sam soon discovers that a "superior authority" can transfer his mind from time to time, only if he manages to "fix what's broken" and give his "host" a better life. Al can communicate with him through holographic form (only noticeable by children, animals - "and blondes, too") in order to help Sam to complete his mission, whether it's to inspire a song to an artist, defend the case of a young Black in a Southern State court during the segregation days, or help a journalist to obtain a Pulitzer Prize while covering the war in Vietnam. The variety and humanity of the show is what makes it stand above the others. Some episodes are light and humorous, when others are darker, even tragic. Some conclusions are bittersweet, and help the main characters to evolve slightly, but regularly throughout the show. What helps even more is the fantastic chemistry between the two main characters. Scott Bakula and Dean Stockwell have found the role of their lives, delivering touching, funny, overwhelming performances, sometimes in the course of only one episode! They're brilliant, as well as the writing, and art direction who recreates every decade from the 50's to the 80's (and sometimes beyond!) perfectly. As for the ending... without spoiling it, it's by far the most astounding, bold and emotionally charged episode ever produced in the TV history, as far as I know. So many TV shows end up in disappointment (while so many don't even bother to give us a finale, at all...). 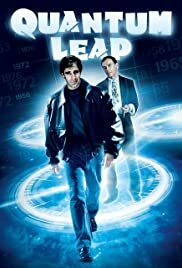 "Quantum Leap" ending is rewarding, and intriguing. It's ambitious, happy and sad. It's both on the human scale, and larger than life. Oh boy, what a show.